It was very interesting to try these two high-end terroir-based Chardonnays from Catena, and then the next day to have a look at the soils that produced them. They both come from the same block in the Adrianna Vineyard, high up in the Uco Valley at 1450 m altitude. 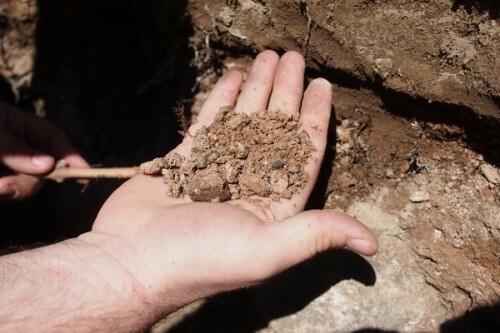 But even within the same block, there’s quite a variation in soils. 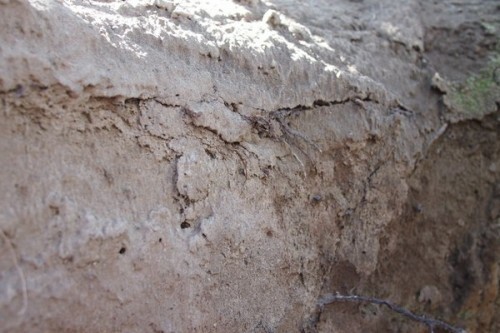 Soil pit 1, above, shows one of the soil types. This is a deep sandy/loess soil that’s quite even. The Chardonnay it produces has quite a bit of ripe tropical fruit quality, so this would usually end up in the Catena Alta Chardonnay. Not far away, and soil pit two. 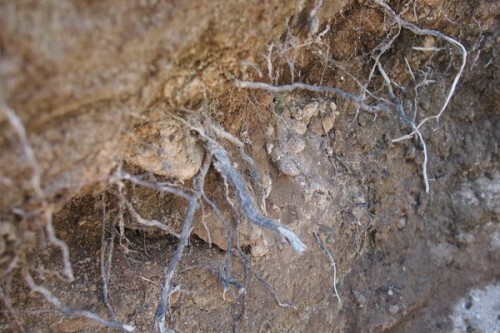 This is completely different, with large stones, and lots more evidence of roots interrogating the soil. The stones are white, because although they are of alluvial origin (river pebbles), they are covered in limestone that has percolated through the soil and then, because of the low rainfall here, has accumulated on the stones. 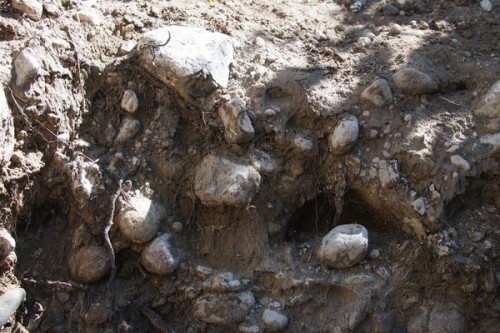 This terroir makes the White Stones Chardonnay. Also close by, we find this soil pit, showing the White Bones terroir. It doesn’t have big stones in the soil, but it does have some limestone that has accumulated in a layer (here, it doesn’t look white because it is saturated with water). The predominantly sandy soil here is layered with limestone and other calcareous deposits that can resemble bones. I’m so jealous, I would love to try Catena Zapata wines wines in situ! Wines always taste better in the places where they are made! 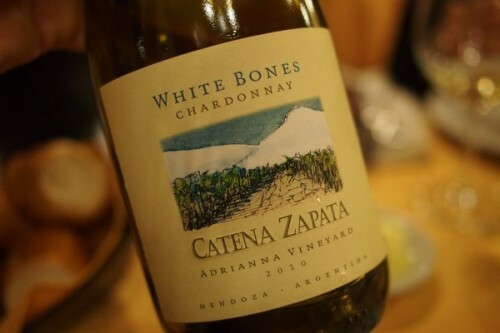 I’ve been grate fan of Catena wines – use to sold by Oddbins, so I’lll look for this two chardonnays. They both look delicious!